Table Mountain at Sunset, source: The Travel Manuel. Where to begin? Cape Town is, in my opinion, South Africa’s prettiest and most dynamic city, with its azure-blue waters framed by lush, soaring mountains and pale fringes of beautiful white sand. While it may be the second largest city after Johannesburg, in my opinion, it’s the cultural, historical, and natural capital of the country, with plenty of sights for all to see. Wander the bright, pastel houses of Bo-Kaap, a community founded by the descendants of imported Malaysian slaves in the eighteenth century; hike or mountain bike on Table Mountain, the aptly-named, plateau where, on a clear day, visitors can see for hundreds of miles into the Atlantic and Indian Oceans; or take a day trip to Robben Island, where Nelson Mandela was imprisoned for nearly two decades as a political prisoner. Whatever you choose, be it history, nature, or culture, Cape Town has it in spades. With nearly 3,000 miles of coastline in the form of sheltered bays, beaches, and waves, South Africa is one of the world’s premier surfing destinations. In particular, Durban (the birthplace of the South African surf scene) and Cape Town are well-known for being surf hotspots. In Durban, surfers can find a spot anywhere along the Golden Mile, a beautiful stretch of turquoise sea and golden sand that sits at the intersection of city, ocean, and sky. The more adventurous (and experienced) surfers can go further out to sea into the Durban Basin, where swells from passing ships rip into breakwaters and create monstrous waves well above the ten-footers typical to the region. Needless to say, Durban Basin is for advanced surfers only. Cape Town’s surf spots are much more varied, from quiet, off-the-beaten path beaches that hide glassy waves and beautiful breaks (Scarborough Beach) to a big wave beach popularized by Red Bull Big Wave Africa (Dungeons). Whatever your taste and skill level, you’ll find it in Cape Town’s sprawling coastline. With over a thousand species of flora and fauna spread across 8,000 square miles of open savanna, lush forest, and rivers, Kruger National Park is the quintessential African experience. From 4×4 wildlife safaris to watch giraffes, wildebeests, lions, and hyenas in their element, to hiking the backcountry trails, Kruger offers something for nature lovers of all tastes and fitness levels. Also, because of its fame, Kruger offers all sorts of accommodation, from simple riverside camps to open-air lodges with panoramic views and the finest in five-star luxury. Depending on your tastes, you may wish to simply book a quiet, clean room with a bed to collapse in after a long day, or an eco-friendly hotel with infinity pool, upscale dining, and a nightly campfire. 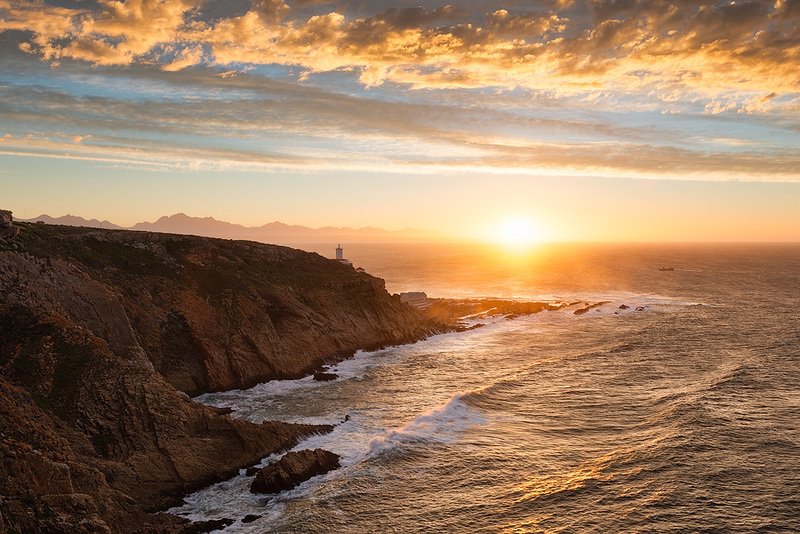 Because of its location in the Southern Hemisphere, South Africa’s beaches are the perfect getaway for all those winter weary northerners who wish to escape drafty nor’easters and blizzards of the November-February months. And who can blame them? From Durban’s sun-soaked Golden Mile, home to surfers, sand sculptors, and families alike, to Coffee Bay, a mocha-colored strip of sand bordering the green expanses of the Transkei region, South Africa’s coastline offers a multitude of surprises. Take a boat safari in St. Lucia to get a personal (but not too close) view of bathing hippos, or marvel at Mossel Bay’s many faces, from trails that skirt rocky outcroppings to white sand beaches that abut impossibly emerald waters. Vergelegen Wine Estate’s historic grounds. Source. For those of you oenophiles (that’s wine-lovers), South Africa’s vineyards are a tantalizing mix of fantastic scenery and even better wine. After all, where else can you tour an eighteenth century manor and sip on some of the world’s best wines–all in the shadow of the majestic peaks of the Helderberg Escarpment? Many of these vineyards also offer world-class dining, and some even feature in-house lodging for those of you seeking a relaxing, secluded escape from the hustle-and-bustle of the modern world. The third largest canyon in the world, the Blyde River Canyon is a verdant, tree-lined sandstone gorge carved over millions of years by a fast-moving river. Today, its leafy scenery sets it apart from other canyons, which tend to feature semi-arid, desert landscapes. Within the Blyde River Canyon are a number of waterfalls, uniquely South African species (such as vervet monkeys) and the Three Rondavels, three round, dome-like structures formed from wind and rain over the millennia. Visitors can hike through trails cut into the sandstone walls, peer down at giant sinkholes, and cruise down the Blyde River.